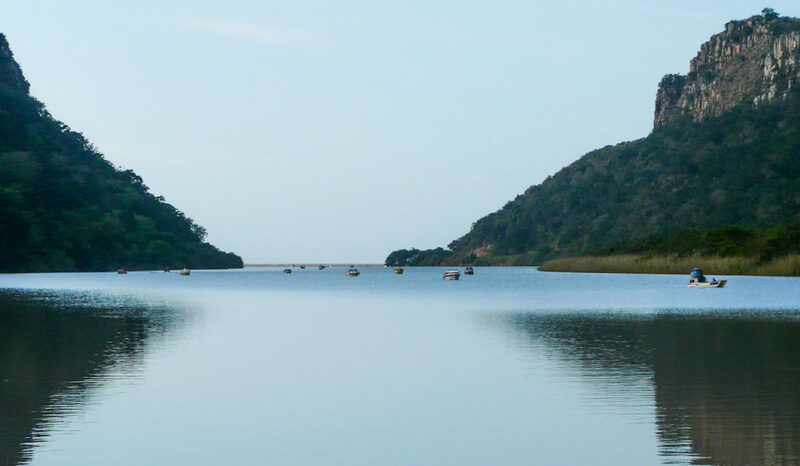 This area is world renowned for Deep Sea as well as Estuarine, Rock and Surf, Fly Bait and Alture Fishing. Bring your own boat. Cremorne Estate has its own private slipway and jetty, or fish from the banks of the river. Catches include Spotted Grunter, Garrick, Snapper, Kingfish, Perch, Sardine, Mackerel and Kob. Private guides and local gillies can accompany you on your daily fishing trips by arrangement. River and sea boat cruises are available for sunrise and sunset cruises. 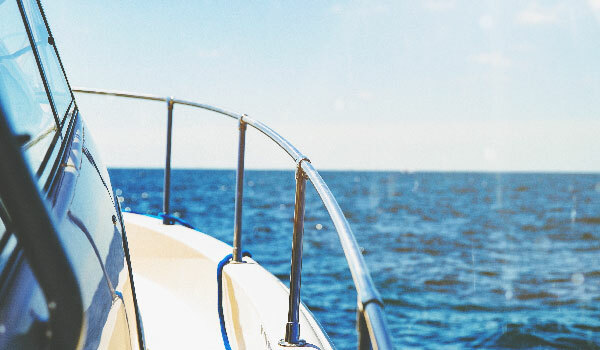 Romantic boat cruises are the perfect way to take in the view and observe bird and wildlife. Whale, dolphin and oceanic bird viewing is a memorable experience. Offshore photographic tours and shark diving expeditions are very popular and must be booked in advance. These activities are outsourced and need to be arranged in advance. Relax in our beautiful manicured garden or the stunning appointed communal lounge, bar, deck or pool area. Spoil yourself in the garden while we bring you a cocktail or a refreshing drink as you take in the gorgeous garden views. Simply stroll around the property and take in the bird life or relax at the pool with a cocktail and a good book. 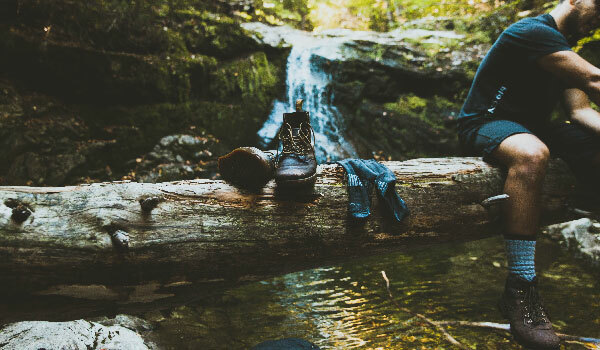 You could even just sit on the riverbank with a rod and catch a fish. 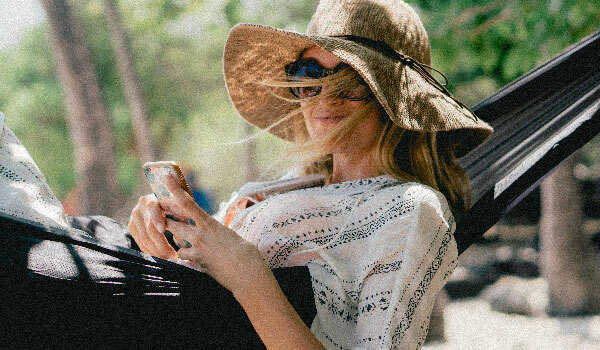 It’s really all about relaxing. Competitors from all over South Africa and the world spend the entire weekend catching and releasing the river fish. 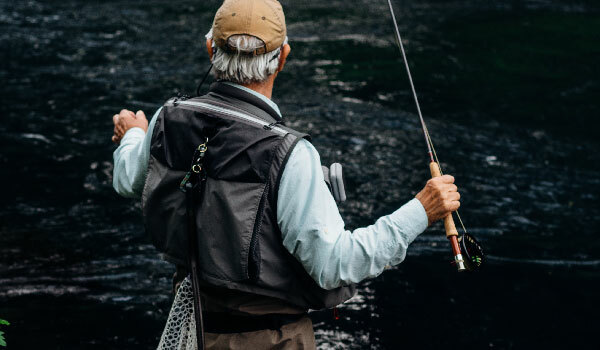 This is just one of the many fishing competitions that are held at Cremorne Estate attracting fisherman from far and wide to enjoy this sought after fishing destination. This river is renowned for great fishing, with an abundance of Spotted Grunter, Garrick, and Cob. Let it “lure” you in. We at Cremorne promote a catch-and-release in a bid to ensure that the youth of tomorrow can also enjoy the sport of fishing. 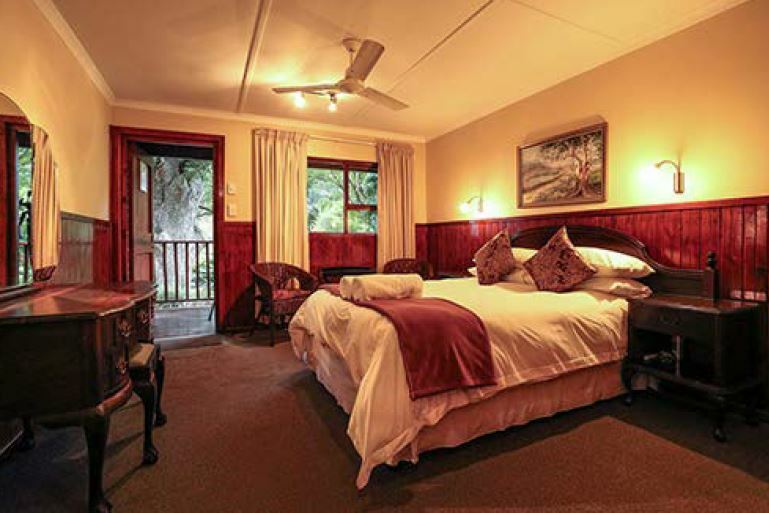 There are professional guides offering guided hikes from Coffee Bay to Port St Johns. These hiking trails cross rivers and visit rural Pondo culture homesteads. 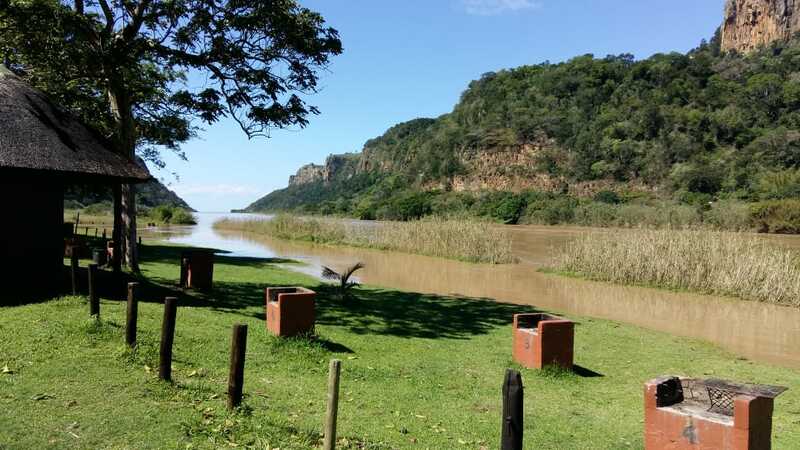 The coastline is followed all the way to Port St Johns. This tour is an amazing experience for all ages. This activity is also outsourced. There are almost 300 birds species. 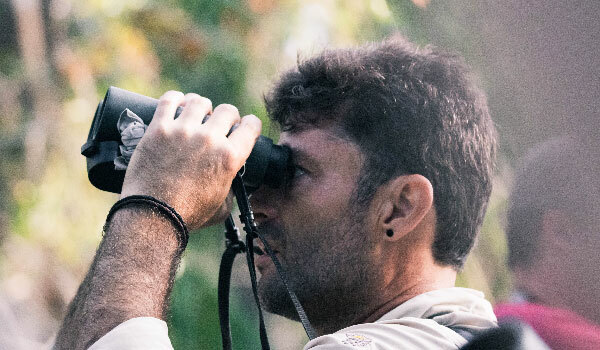 The most popular is the Cape Parrot as well as the Pipets, Bustads, Weavers, Barbets and the African Fish Eagle as well as many other stunning birds. Cremorne Estate are proud to have hosted Scuba Addicts Diving Company and their clients from all around the world at Cremorne for the past 10 years. 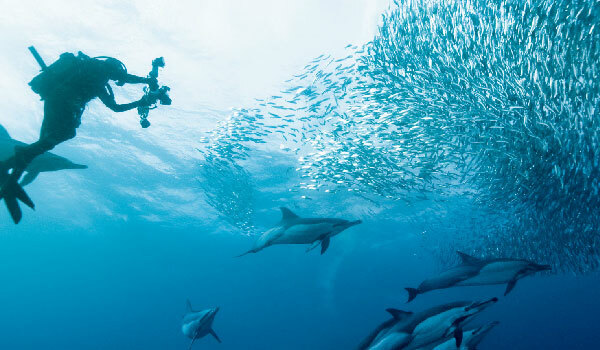 Divers from all corners of the world travel to South Africa to witness this amazing migration that is described as one of the wildlife wonders of the world. Sardine season is from June to July we would recommend everybody to add this world phenomenon event to your bucket list. We dare you. To all our valued guests kindly be advised that all our meals are prepared as per order. Nothing is pre-made. Good food takes time to prepare for your satisfaction. We also have a range of beers, ciders, spirits and wine at the bar. Please ask for more details on these. 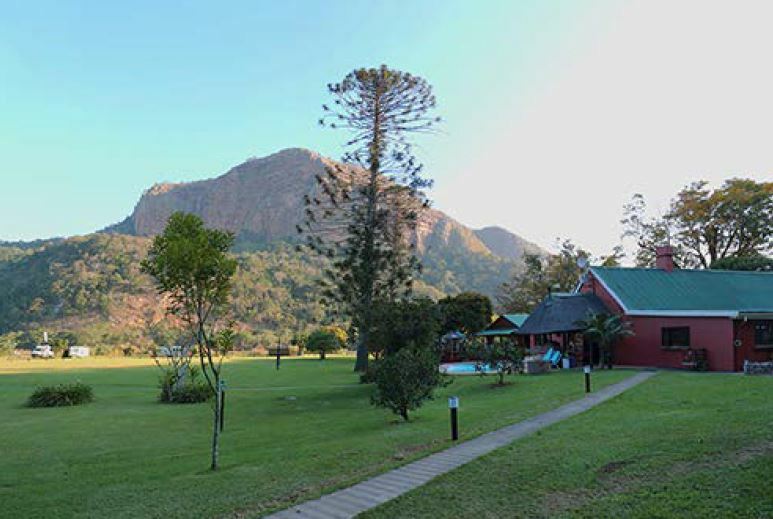 Cremorne Estate is a 3-star holiday resort which offers a variety of accommodation options and services. 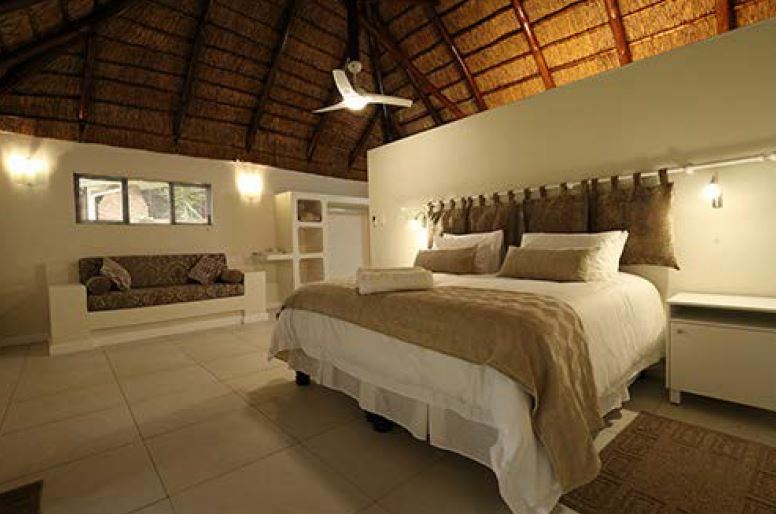 You can choose between comfortable bed and breakfast, en-suite cabins or fully furnished self-catering cabins. 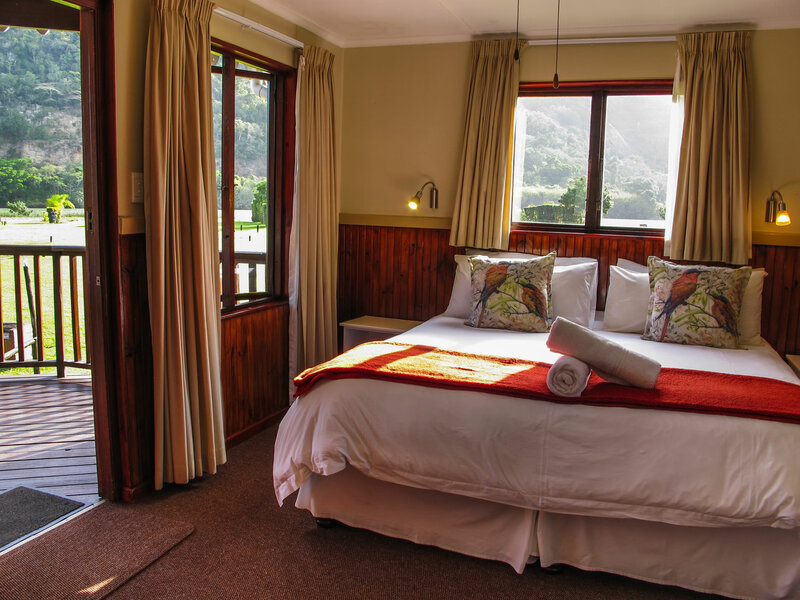 Cremorne also offers Fisherman River Cabins for the rustic adventurer. 14 campsites all with power and water facilities are spread out along the banks of the river and can accommodate camper-vans, caravans and tents. Well maintained ablution blocks are provided with hot showers and flushing toilets. 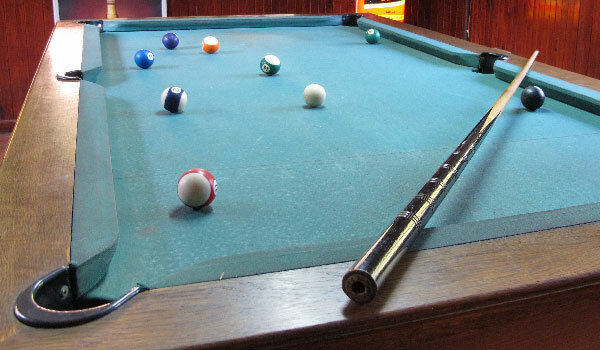 Cremorne Estate has an A La-Carte Restaurant and Pub, wide screen TV and a pool table room. 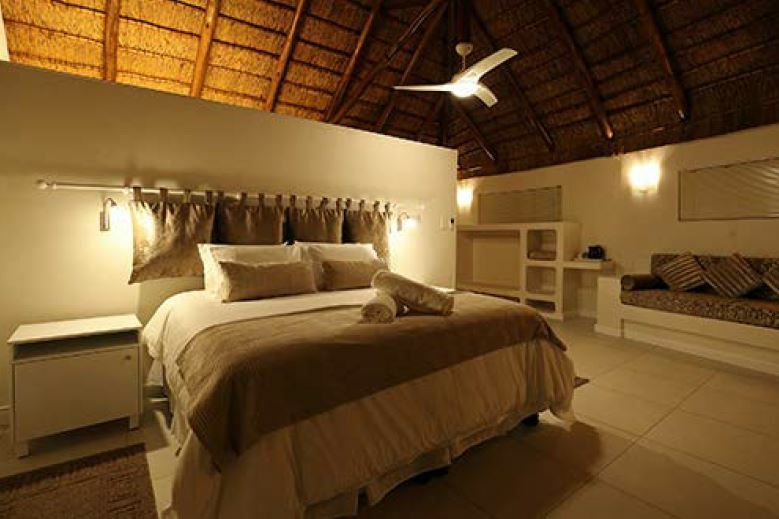 The Resort has selected cable DSTV showing international news, sports and varies movie channels as well as the local South African TV channels. The bar and restaurant is open to local residents and guests to meet and chat with the cross selection of local community. We have mouth watering, thin base crispy Pizza’s available on a Wednesday, Friday and Saturday evenings. Free Wi-Fi to all Cremorne guests. Never worry about Power Outages, as Cremorne has a Backup Generator System for the coverage of the entire Property. You will not be left in the dark. 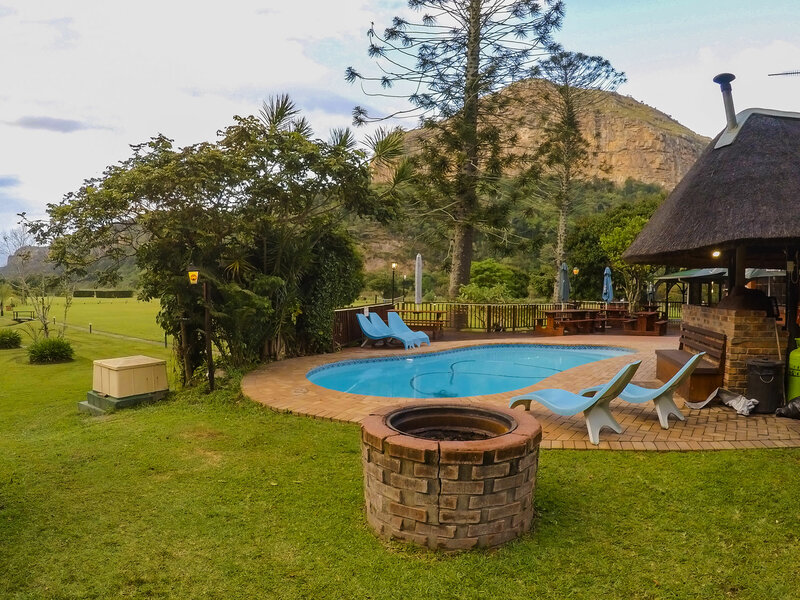 The Resort has a swimming pool and an outdoor deck area where guests can sit and enjoy the views of the river and surrounding mountainous landscapes. Cremorne Estate has a conference venue for corporate and small conferences or beautiful weddings, enquire now. The conference can seat up to 40 delegates and more can be seated outside with hired chairs if needs be. The Resort has an on-site helipad for guests and businessmen who might want to travel this way. There is also a small aeroplane landing strip a few kilometers away. Making your special day that bit more special. 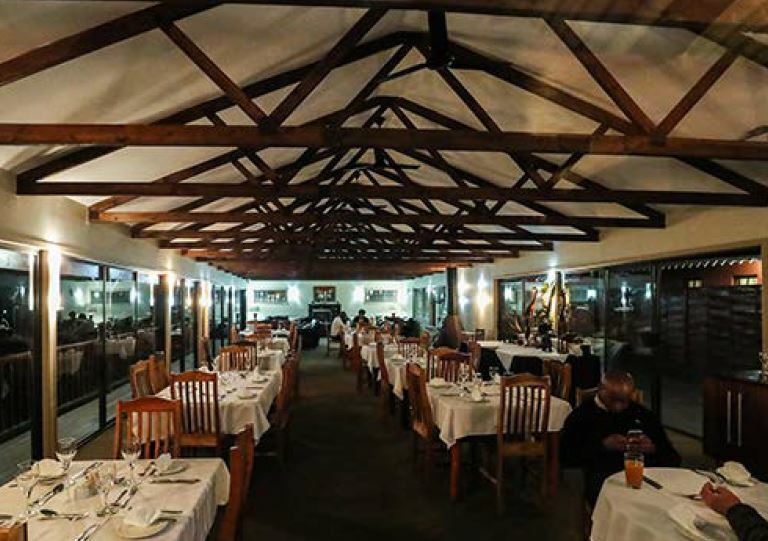 Cremorne offers a wedding venue unlike any in South Africa. Make your special day even more special with this idyllic setting, watched over by the backdrop of huge cliffs that create such character on your special day. Cremorne offers the venue for hire only. Discuss your wedding arrangements with our manager together with your wedding planner. Where does the name come on come from? It is a question that has been asked on so many occasions but up until early 2002 we had no idea other than it was named Cremorne by the above-mentioned Captain Sydney Turner that came to South Africa in 1864 and is buried in the grounds of Cremorne. Thanks to Clive and Edith Dennison of Pietermaritzburg the mystery has now been solved. This is an excerpt from the history book sent to us by Clive and Edith. “In the eighteenth century there had been a number of public gardens in London where people went to amuse themselves in the afternoons and evenings. Vauxhall and Ranleigh were the most famous, but gradually their popularity declined until the 1850’s when only two were left, Royale Cremorne at Chelsea and Rosherville Gardens at Gravesend, by an early slogan known as “the place to spend a happy day”. All sorts of displays were given; there were fireworks, military tournaments, balloon ascends, dancing marinette and a host of other amusements. Cremonre had originally been the private garden of Lord Cremorne’s riverside house and right up to the end it was a pleasant rural looking place full of green lawns, trees and flowers, but in time it became extremely rowdy. Quieter people were afraid to go there because of the noise and vulgarity of the crowds and there were constant complaints from local residents about the nightly uproar and disturbances. As a result, partly because of these complaints and partly because of a shocking accident in 1874 when a balloonist was killed, Royal Cremorne was closed in 1877. Today no traces of the original Gardens remain, and the area is covered by houses and streets and is now known as Chelsea. The only remaining evidence is a few streets bearing the name Cremorne. We estimate that Sydney Turner settled on this land next to the Umzimvubu River around 1880, and assumed that he heard of the closing of Cremorne Gardens in London and felt that this piece of land resembled his childhood memories of Cremorne and therefore decided to use the name Cremorne here. 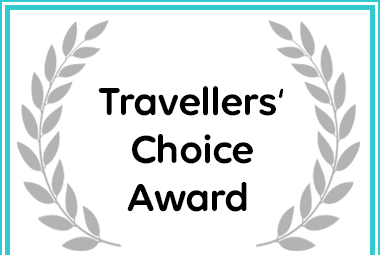 Cremorne Holiday Resort in Port St Johns received a Travellers’ Choice Award.